How did PYBAR launch a new platform to their offline workforce? 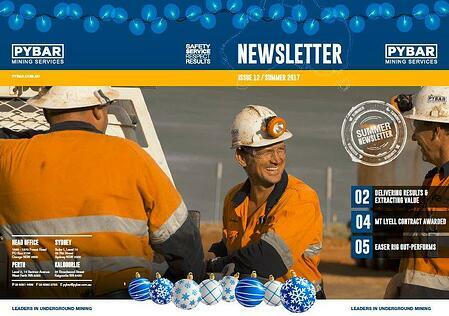 Discover the journey PYBAR Mining Services took to transform their manual recognition and reward program and generate excitement and involvement as they launched their engagement hub. 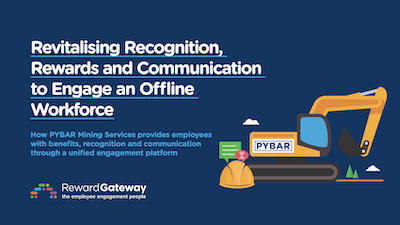 This is the second post in our 3-part mini series on Employee Engagement, where Cara Jordan, HR Advisor at PYBAR Mining Services answers questions that she received during our live webinar on recognition and reward. 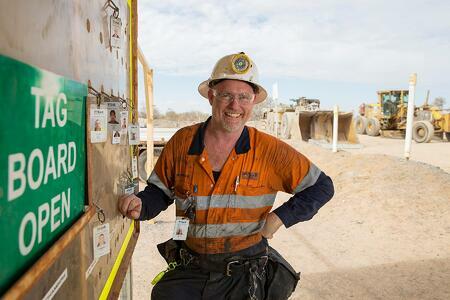 With over 800 employees mostly working in remote, underground mines around Australia, keeping people engaged and informed is no easy feat for Cara's team. 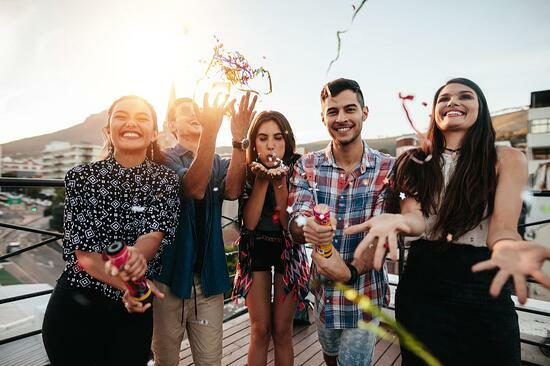 Here, she shares ideas for launching an employee engagement program and generating excitement for an online platform among employees who are mainly offline. Q: What did you do to launch your new engagement platform to your people? 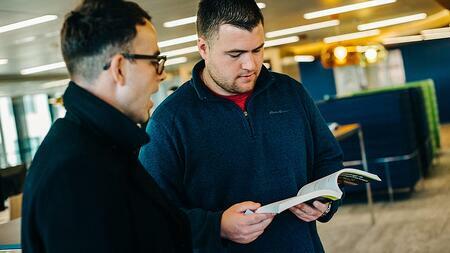 Get employees involved in program launches. As we designed the program we went to different sites and took photos of our employees to use for our eCards and on the platform. This helped generate excitement about what was to come. Visit every project site and speak to all the crews. It may seem costly but it is the most effective way of getting the message across and answering questions or addressing resistance. It adds a human touch to everything and helps you to connect with your people. Send a flyer and/or a bag of branded goodies to employees, whether this is around the office or to their home addresses. We chose to send the information home, so their families also received information about exclusive discounts. Run a competition or campaign that encourages employees to sign in and use the program. We offered bonus credit to people who registered before a certain date. TIP: Don’t be afraid to over-communicate and to be creative with it. It takes multiple tries to get people to hear and understand what you’re saying. Reach people where you know they already are - that’s why we included information in our company newsletter and on our social media pages. Make the advantages of logging in and using the platform loud and clear and keep on spreading the good news long after your launch. Q: Did you get pushback on having an additional software your employees had to use. Is the software integrated with existing programs used by the company? Cara: There will be employees that will resist using software - no matter what it is. While some of our staff have easy access to computers, most of our workforce only ever use our Employee-Self Service portal to access things like payslips. We have a very clear link to PYBAR Perks on our employee portal, so they can’t miss it. Answer the “what’s in it for me” question. For example, employees can get instant and easy access to discounts whenever they go shopping (whether that’s online or via the mobile phone app), so the benefit for them and their families is obvious. For HR employees or managers, the time saved on things like administering and reporting on the program is massive, which is a huge advantage to the business. Take advantage of things like single-sign on, or integrating feeds between other HRIS systems and your engagement platform. Make sure everyone knows where the link to the platform is - link to it wherever you can, whether that’s your employee portal, intranet or email signature. Make it impossible to miss! We started off with PYBAR Perks as a standalone platform, knowing we wanted to spend a bit of time wrapping our heads around content and communications plans, but the options to integrate are promising. TIP: Ask the company you’re planning to partner with about the implementation process, what type of support they’ll provide during and after the design and launch of your program, and think about whether they’re the type of company who is constantly improving or adding product features and can evolve as the market and your business needs do. Q: Did you get any negative feedback did you get from the workforce ? How did you overcome this? They’re used to doing things a certain way and are resistant to change because that requires learning something new or stepping out of their comfort zone. I’ve found the best way to overcome these negative perceptions or attitude is to give these employees time. Connect with them, look for ways to resolve their issues immediately and help them see that what may seem like a big deal is actually something easy to address. Sometimes I’ve targeted the loudest, “baddest” resistor and eventually gotten them to be our advocate for us. Doing that means you need to build a relationship with them, help change their mindset, and when you think they’re ready, give them a sense of responsibility for making things work. This isn’t always successful, but when it is these naysayers communicate to everyone around them about how great the system is and do your job for you! I think the important this is accepting that these changes take time. While the uptake of the PYBAR Perks platform was great and better than what I’d anticipated, we still have a way to go before we really cement it into the business’s communication. It won’t happen overnight and I know we can just address one negativity at a time. TIP: If you notice a trend in some of the concerns your staff are raising, use your internal communications platform to address it, because chances are others may be feeling the same. Use this an opportunity to encourage openness and transparency. Q: How do you introduce recognition into an organisation that needs significant cultural change? What if you’re working in an environment where others get upset when people are recognised, where employees aren’t team-focussed or used to celebrating other people’s success? Can recognition really help people embrace teamwork? Culture change is a huge topic (for another series!). I think the most important thing is to remember that change will take time and perseverance to change your company culture and your engagement or recognition programs are tools to assist with that. They aren’t the answer to everything, but they can help. Giving people the opportunity of nominating and recognising each other is empowering and puts the responsibility on them. If they’re upset that the same people get awards all the time it means need to nominate other people! We link the awards to our company’s core values, which keeps them relevant and front of mind, even if they’re all working on different projects. Award winners are chosen at each project site, and at our corporate office we have a rotating panel of randomly chosen employees who choose the winner. This gets different teams involved and means anyone plays a role, not just management. We share recognition everywhere we can: with private eCards, on the recognition wall, on the PYBAR Perks comms, on social media, around the office. A strong presence helps change attitudes. We host monthly morning teas for birthday celebrants and awardees. Everyone looks forward to them – there’s cake and free food, so who wouldn’t! It gives everyone a chance to interact at work but away from their working space and connect on a more personal level. The other thing I’ve learnt is that whenever you see someone do something positive that extraordinary for them, make sure they know you noticed it! Make a big deal about it and help them see the impact of that good behaviour. Recognition works because it makes people feel good – and others will notice. All these suggestions are simple, but I know changing culture is not simple. As I said before, shifting any company culture will be a challenge and takes time, but when it starts happening it feels like such a great achievement! TIP: Seek feedback from your people about what they want to change to make a better work environment, and what they like. Whatever results come from your survey or consultation, be sure to act on them – change something, no matter how small or big! Have a bias for action, don’t just sit around. Big change starts with small steps. What are your tips for launching an engagement initiative? Join the conversation on LinkedIn and share your ideas, or learn from others!